Financial institutions that coupled instant issuance with customer education have seen migration to self-service channels. Boston, September 20, 2016 – Financial institutions’ business case for instant issuance typically rests on increasing customer satisfaction and card usage by putting a new card in customers’ hands the moment they open a new account or realize that a card has been compromised. But many North American FIs have discovered that these positive in-branch interactions allow them to better educate customers on how to use self-service channels. Can instant issuance not only meet customer demand for convenience, speed, and instant gratification, but also free up valuable time for branch employees? This research provides snapshots of five institutions that have deployed instant issuance and the different ways in which they have benefitted from the capability. 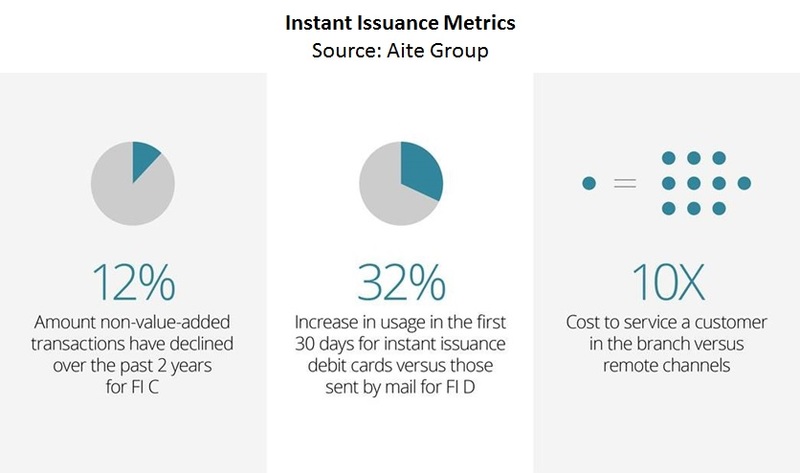 It is based on 2016 Aite Group interviews with executives at North American FIs that use instant issuance technology. This 15-page Impact Note contains four figures and six tables. Clients of Aite Group’s Retail Banking & Payments service can download this report, the corresponding charts, and the Executive Impact Deck.